I’m growing concerned because my final paychecks from the Outback Steakhouse in Eugene haven’t hit the bank yet. 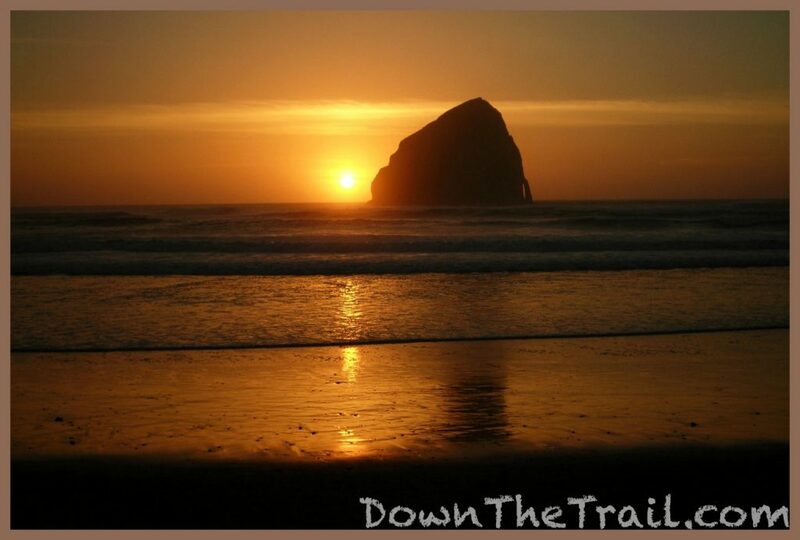 This makes for a late start, but it looks to be a fine day as I ride out of Tillamook around noon. 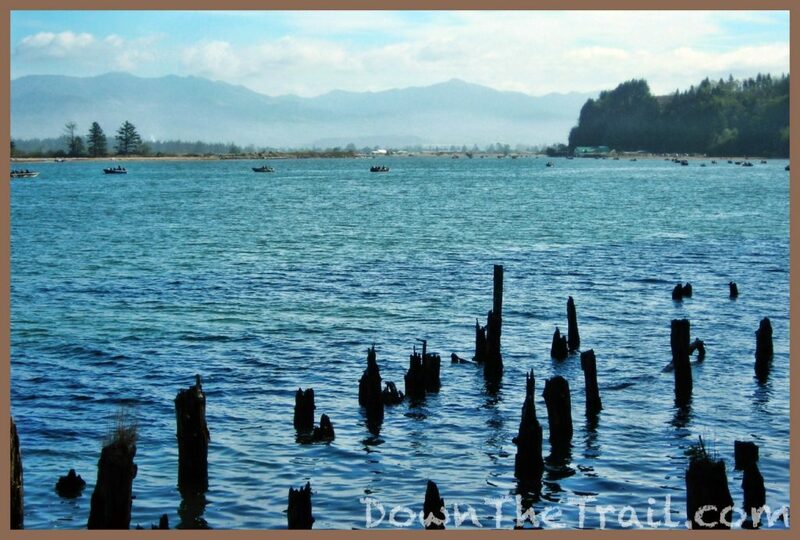 Winding around the Tillamook Bay, I’m off of route 101 on a lightly traveled road that’s riddled with potholes. The rough ride has me regretting this scenic route, affording only occasional glances at boats drifting on the bay. 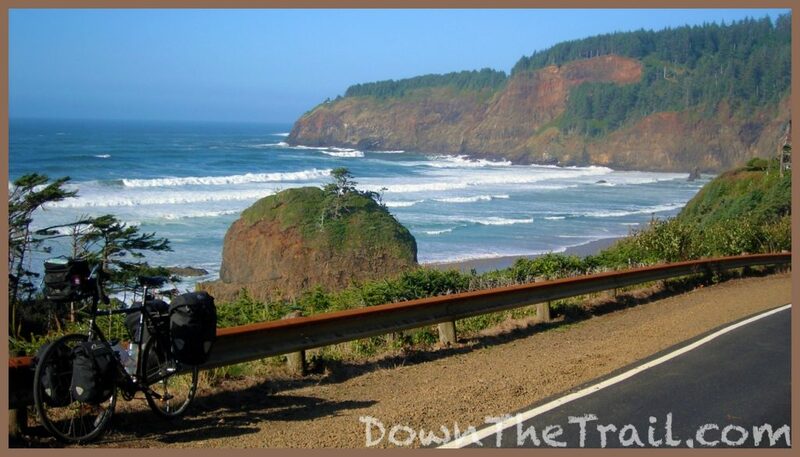 Traffic is light as I climb Cape Meares. The trees clear at the crest of the hill, and I’m presented with my first fair-weather view of the Pacific Ocean. As I’m admiring the scene a man eases up, rolls down the window, and looks a moment. He says “That’s something, isn’t it?” and pulls away. An older couple in a van pulls up. They park in the gravel and step out. They strike up a conversation, with the usual questions about my trip. Sometimes this is an annoyance, but today I can’t help but provide answers with a hint of pride – maybe because the couple is outwardly impressed. 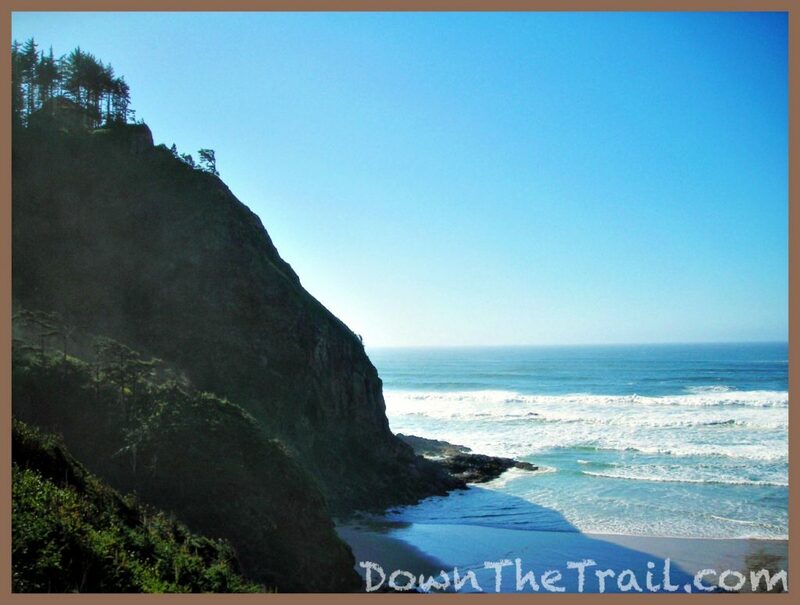 Coasting through the descent, I’m introduced to more spectacular Oregon Coast scenery. Huge jagged rocks jut out from the water, and the forest gives way to sandy beaches lined with driftwood. 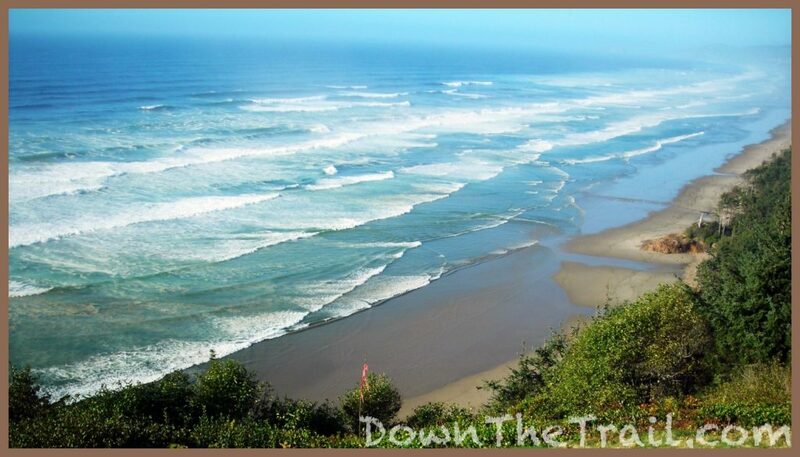 Even when the ocean is invisible, the sound of crashing surf carries up to me as I squeeze the brakes. A deer is suddenly along a curve, and I halt to take its picture. Its seemingly not phased by my presence, and is almost tame, like the deer I saw in Shenandoah National Park. I think it’s so cool how they live in the woods a quarter mile from the sea. 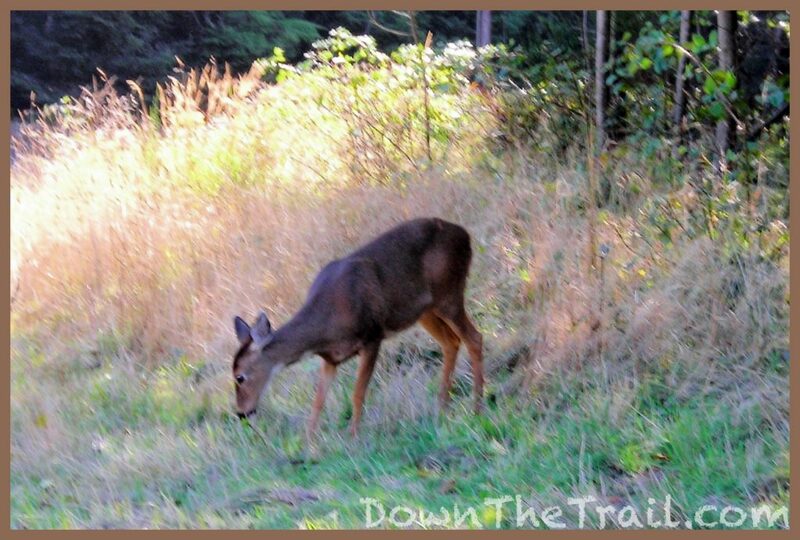 An older woman creeps up in a compact station wagon, almost coming to stop past the deer. She gives me the sweetest smile. That last conversation at Cape Meares is the first time I’ve vocalized this trip with any degree of finality. 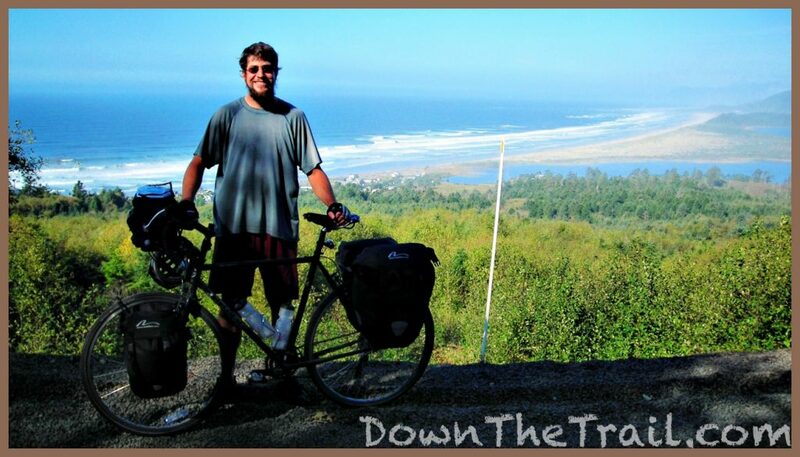 Outer Banks – to Seatle – down to San Francisco. Period. It gets me to thinking how this is the perfect way to wrap it up, along the sea, adding a nice melodramatic element. This area to me has always been the far side of the world, coming from the east coast. I remember thinking that maybe one of the reasons I like this kind of a trip is that I can make my life resemble classic rock songs. The Rafferty song, “Baker Street” (With that prominent sax riff), is stuck in my head, along with The Cure “Just Like Heaven,” thanks to the movie of similar title on heavy HBO rotation. 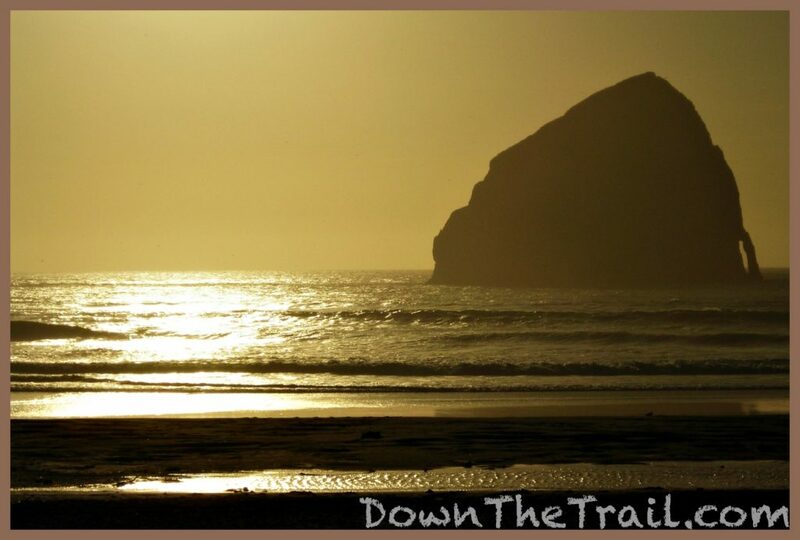 I climb Cape Lookout, affording some more views and photo opportunities, and descend to a flat stretch as the day grows old. The miles come easy, and I realize there’s a tailwind. 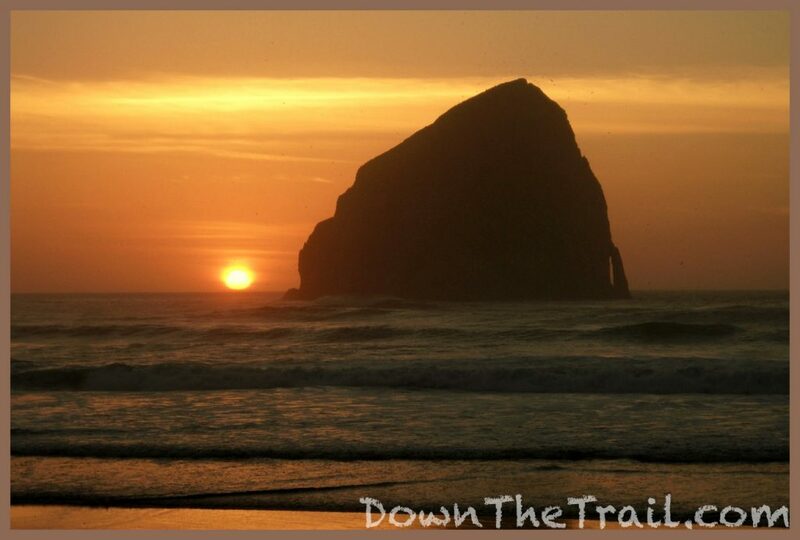 At the north end of Pacific City there’s a huge, prominent rock in the ocean, with the lowering sun glowing above it. I stop at a gas station in town, pick up some food, confirm local camping at a small county park, and return just in time for the sunset. 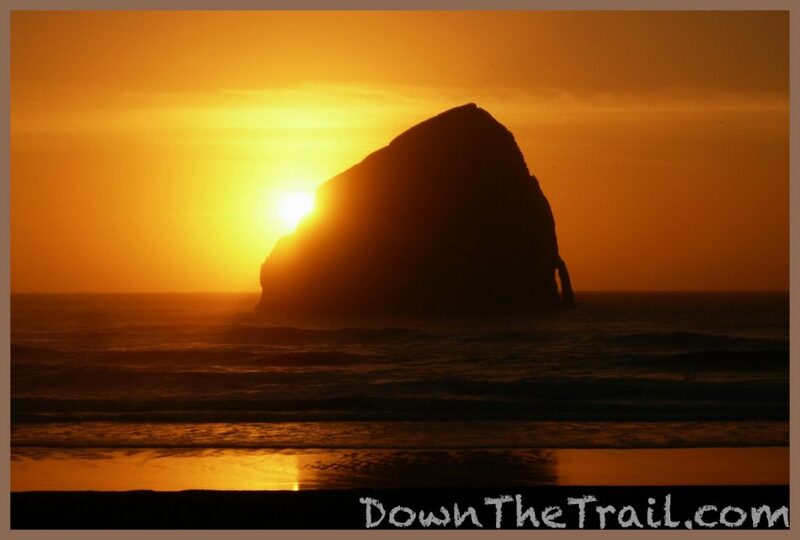 The place has a name – Haystack Rock. Back at the small lot for camping, I go about the tenting routine with a silent, lonely peace. I’m among fishermen. Some have a campfire and beers to one side, and on the other is a lone man, also with a fire, making calls on his cell phone. Both have vehicles towing small boats. They don’t make much effort to be sociable, and neither do I, as I busily consume chicken-flavored Ramen with tuna after dark. I crawl in my tent as the air dampens, click through today’s pictures, catch up on my journal a little, and curl up to sleep. Life is good.